Help advance the sciences at Chapman University by making your gift to the Keck Center for Science and Engineering! The mission of the Center of Excellence in Computation, Algebra and Topology (CECAT) is to provide a forum for world class interdisciplinary research where computation meets algebra, topology and related mathematical fields. The CECAT has a track record of supporting its mission by hosting workshops that attract national and international visitors, attracting national and international visitors for research collaboration, developing affiliations with research groups at fellow institutions, seeking external funding and developing online mathematical resources. The Center of Excellence in Complex and Hypercomplex Analysis (CECHA) is a group of mathematicians and physicists from the Schmid College of Science and Technology at Chapman University who joined some of their national and international collaborators to form this Center of Excellence. The research conducted under the center's umbrella is mainly motivated by the latest results in Clifford and Hypercomplex Analysis and endeavors to find new ways in which this research can be applied in mathematics and physics. 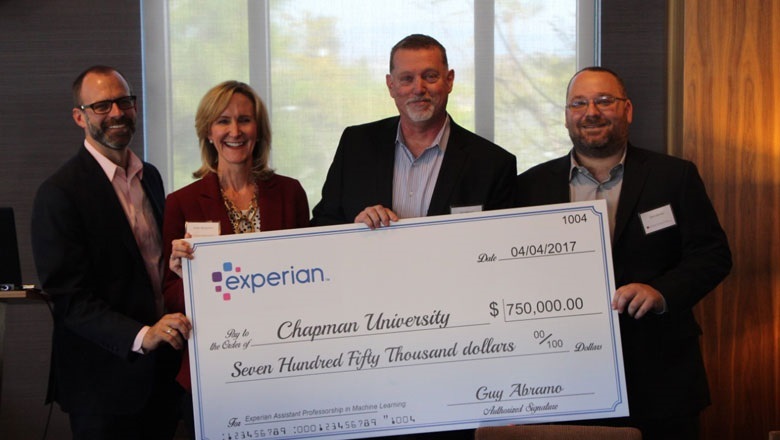 Your gift to the Assistive Technology Support Fund will support Chapman's Machine Learning and Assistive Technology (MLAT) Lab. MLAT Lab was founded in January 2015 with the goal of providing a formal organization for researchers at Chapman dedicated to leveraging technology to improve the understanding and treatment of developmental disorders. While our projects vary from machine learning to virtual reality to bioinformatics, we all work together to apply cutting-edge science to clinical, educational, and medical domains. In particular, we specialize in understanding the screening, treatment, and management of autism spectrum disorder (ASD). Together with our collaborators we try to get innovative technologies deployed to the people that stand to benefit the most from them. On December 5, 2015, Chapman alumnus Leonardo Eifert ’13 passed away due to post-surgery complications. 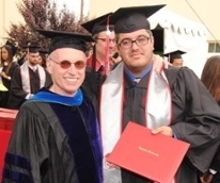 Leonardo was a beloved mathematics major and physics minor who was well known about campus for his friendliness, compassion for others, and patience. He is the son of Dr. Georg H. Eifert, an emeritus professor of psychology and former associate dean of Schmid College of Science and Technology, and his wife Diana. In 2017, thanks to the generosity of community members, Leo’s friends, family, and Chapman faculty and staff, Schmid College formally established the Leonardo Eifert Scholarship for Imaginative Applications of Mathematics Endowment. For more information about making a gift to Schmid College, contact Sarah Buckley at 714-289-2032 or sbuckley@chapman.edu, or visit Chapman's Ways to Give webpage.